Today, thanks to new technology, student life is much easier as there are hundreds of apps for students that help you cope with everyday tasks. 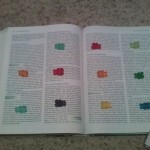 Thus, when using them, students can focus more on their studies. 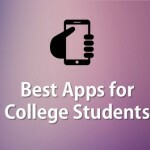 Here we bring you a selection of 12 of the best apps for students which will help you cut through the clutter and see which apps are the best for students and will help reduce exam stress! This list includes Android and Apple iOS apps and most importantly almost all are free! 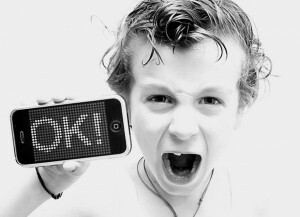 GoConqr Mobile has been downloaded over 150K times and it has a rating of 4.3/5. Download it now and unleash the power of mobile learning. Imagine you are studying, you sit at your desk and start to create a mind map to organize your ideas. When you’ve just created your first node on your Mind Map, you get a notification on Facebook. It’s almost impossible to ignore! So you check it out and waste another few minutes instead of studying! To avoid distractions like this, SelfControl allows you to block certain websites for a set amount of time. This enables you to concentrate fully on your studies and avoid sporadically checking social networks or your email. Best of all is that once you put these blocks in place, it’s impossible for you to access them until the time you’ve previously specified runs out. You can’t just flick a switch and check them. Even if you get desperate and delete the application, you won’t be able to access them before the time you specified. Happy studying! Maths Alarm Clock is another tool for self-control. This time, however, for your dreams! If you are a student who suffers from continuously hitting the snooze button in the morning, then this is the app for you. Maths Alarm Clock makes you solve a simple math problem in order to turn your alarm off. If mathematical problems are not enough to get you out of bed, we bring you an even more extreme solution. With Sleep If U Can, you’ll have to get out of bed and take a picture of your sink (or any other area you define) to turn off the alarm! Your lecturer smugly says a word they assume you all know the meaning of. You don’t. That is why the Oxford Dictionary app is a must for students, no matter what subject you are studying. If you can’t find a word in there then your lecturer is making them up…which happens quite often actually. Finding a good app to help you learn a new language can be hard. This app is a serious contender though. Babylon is an excellent online translator for more than 75 languages. Using this app you can solve any problems you are having with key vocabulary for your exams. Check out our Flashcard tool which is perfect for keeping track of all the vocabulary you need to know to master a new language. Have you left your calculator at home? How can you solve all those tricky equations and cube roots now? RealCalc Scientific Calculator is the answer. 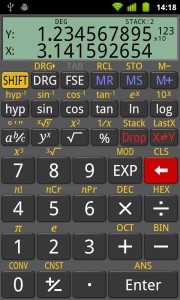 This app is perfect for students who need all the functionality of a scientific calculator. 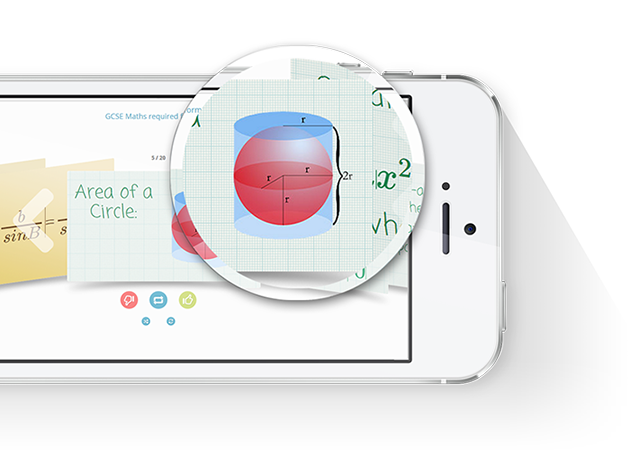 This student app is ideal for mathematical or scientific problems so if this is your area, then this is the app for you! Yes, we know that you use the copy and paste buttons more than you should when writing class essays. Still, we all know that this can save a whole bunch of time. Simply tweak the text a little, add some of your own work and the job is done! If this modus operandi sounds familiar to you then JumpCut will save you a lot of time! Jumpcat gives you access to text you’ve copied and pasted before, even if you copied new text to your clipboard since then. This is a handy time saver and is ideal for students with a looming deadline! The people we surround ourselves with have a great influence on how we think and behave. So why not surround yourself with some of the world’s most fascinating people? Educators, radical technology geniuses, medical mavericks, business experts and legends of music, TED has it all. Enjoy the best conferences in the world with this educational app that will open your mind. Classes and study occupy most of a student’s day so it may be the case that you’re neglecting exercise. 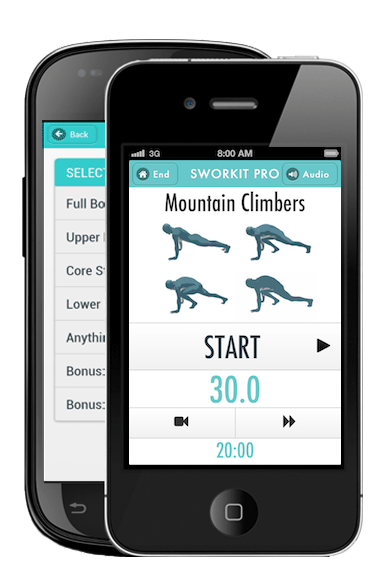 Sworkit allows you to create training plans in 5 minutes. So now you have no excuse for your lack of exercise, five minutes is all you need! Safety is important. No one should ever have to alter the lifestyle they want to lead because they fear for their safety. There are some simple things you can do that can go a long way to ensuring you’re safety. If you’re coming home alone or walking around campus, the Circle of 6 app will make you feel safer. Circle of 6 does this by continuously connecting you with 6 contacts of your choice. The app has a default message ready to be sent along with your location at any time. It’s direct, fast and secure. Hopefully, you will never have to use it but there might be a time when it could keep you safe! A classic. This app has become one of the most popular apps worldwide. Angry words is a multi-player Scrabble-type game that allows you to exercise your mind while having a good time. This app is a great way to kill time when you’re waiting for your bus (or you could check your study notes on ExamTime!). We saved the most important for last! Throughout this list of apps for students we’ve talked about apps for self-control, translating and learning languages, exercise, and play…but what about studying? GoConqr allows you to create online Mind Maps, Flashcards, Online Notes and Quizzes. All of these online study tools are designed to help you improve your learning and prepare for exams. Never before has it been easier to create your online study resources and share them with your classmates. Plus all your notes are stored in one place. GoConqr also has a whole bunch of other tools such Study Groups and Study Planner. If you’ve not tried it yet, what are you waiting for? GoConqr is a web-app, that means you can access it via the browser on your phone or mobile device. It is optimized for all types of touch devices and easy and quick to you. There is no excuse for not using the best technology available when it comes to you studies! This entry was posted in ExamTime Blog Posts and tagged Apps, online study, study. Bookmark the permalink.